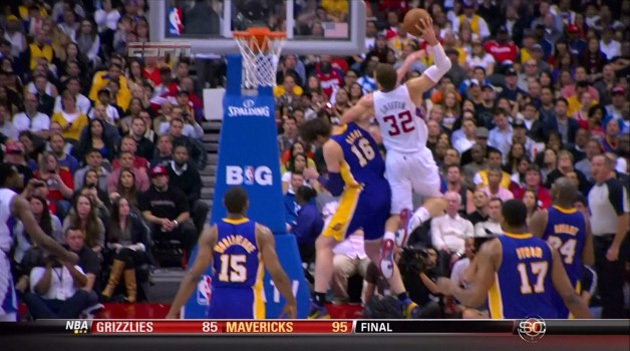 Have you ever wondered what it’s like to be Mozgov’d by Blake Griffin? Well, now there are three people who can offer you a description of the experience. According to Pau Gasol, Griffin’s latest victim, it’s impossible to see it coming. It happens quickly, and the pain doesn’t begin until after it’s all over. And since you don’t really see what happened, you have to go back and watch it. Clearly, Pau Gasol’s teammates are not Kevin Durant. That’s all part of the acceptance and recovery process, though. Each Mozgov victim must either accept what happened or spend his life in an eternal state of saltiness, like Kendrick Perkins. Gasol was rattled for the remainder of the game. He was out there committing double fouls, desperately trying to play it off while his shame shone through in the form of his agitated play. However, I expect that he’ll make a full a full recovery. His sensible comments give promise of mental stability. Stro wad are your thoughts on it being an offensive foul? I’m glad they didn’t call it, and I hope they continue to not call it in the future.